What do we do and what is the objective of our activities? NB! Training events and study visits funded by this activity are available only for researchers who are employed by Estonian R&D institutions. As part of the activity, we will reimburse the costs of attending international training events of both ETAg and its partners both in Estonia (international trainers) and abroad. Furthermore, we provide study visits to institutions that have been successful in international research collaboration. The objective for training events is to develop researchers’ skills in drafting and implementing R&D projects. International training events and study visits are currently inaccessible to researchers in many instances, either because of their high cost or, alternatively, limited access. 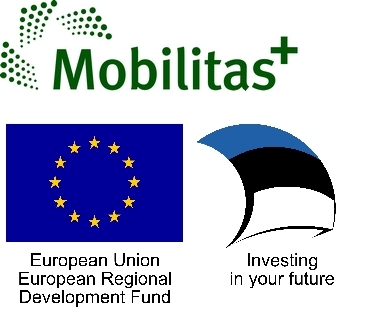 The main objective for training events and study visits is to raise the capabilities of researchers to prepare successful project and grant applications, in particular within the framework of Horizon 2020, and thereby increase Estonia’s participation in the EU framework programme. The activity expands the opportunities for researchers to pursue professional development and learn from the best international practices. Researchers who have recieved top researcher grant or support for applying for ERC grant can’t participate in this activity. The objective is to provide training or study visits for 100 researchers. Training events and study visits are organised by ETAg, involving partners. Among other things, we collect proposals from partners regarding the objectives and needs for training events and study visits. In collaboration with the partners, we identify the researchers to be trained. We will reimburse costs of study visits with the aim to visit ERC grant holders and learn from them how to write a grant proposal. The approximate cost of one study visit is up to 1500 euros. Support will be given to partners (institutions who have sent researchers to a study visit) based on actual expenses after the visit. Open calls for short term study visits to ERC grant holders will be held twice a year – in May and October. Applications for the short term study visits will be submitted in ETIS. Training events will take place in Estonia. The trainers have extensive experience in running ERC workshops. ETAg will inform the partners about the dates of training events on it’s webpage. training events for ERC Consolidator grants and Starting grants will take place in April/May. training events for ERC Advanced grant will take place in September/October. Training events and study visits are organised when it turns out which researchers have been invited to an interview by the ERC. These researchers will be sent to training events abroad. ETAg will inform the partners about the dates of training events on it’s webpage. Training events for researchers wil be organised by the Estonian Research Council free of charge.